The Gifted. Are you ready for a X-Men TV Show from Matt Nix, Bryan Singer, Lauren Shuler Donner, and Simon Kinberg? 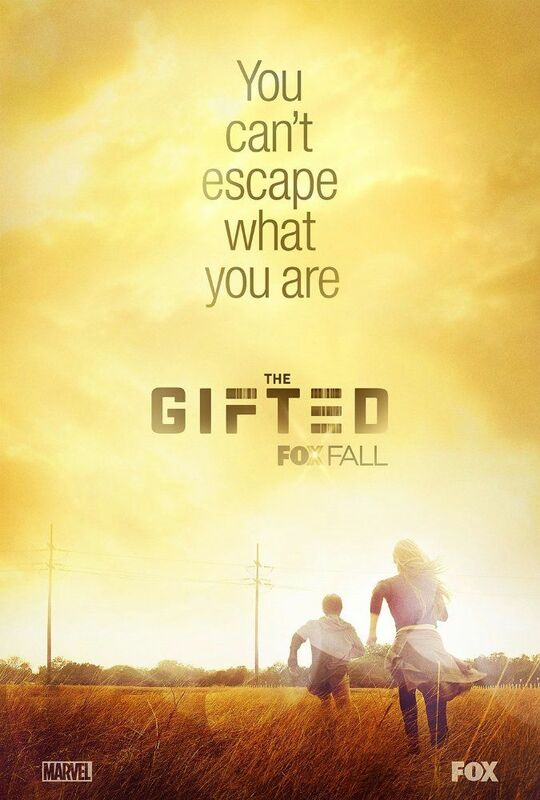 Yeah, well neither am I but here’s the latest trailer for the upcoming show called “The Gifted” on Fox this coming TV season. The story is about the Strucker family, who’s children are mutants with powers, as they try to escape the clutches of the government and into the helpful arms of fellow mutants. In the trailer, we get to see the Natalie Alyn Lind as Lauren Strucker doing her best Chloe Moretz look (and voice) while talking about how dark & bad things are getting for them & their family. The show has a large cast which includes Stephen Moyer (True Blood) as Reed Stucker (not Baron Wolfgang von Strucker), Amy Acker (Angel, Dollhouse, Agents of S.H.I.E.L.D., Person of Interest) as Caitlin Stucker, Natalie Alyn Lind as their daughter Lauren and Percy Hynes White as their son Andy. The trailer also shows off some X-Men mutants in action – Blink (Jamie Chung), Polaris (Emma Dumont), Thunderbird (Blair Redford) and Eclipse (Sean Teale). Personally I’m MUCH more interested in THESE mutants than the Strucker kids but let’s see how the show turns out. And YES, the Strucker kids are from the Marvel Universe and recently Thomas Kretschmann portrayed Baron Strucker in Avengers: Age of Ultron (movie) as the villain who gave powers to both Scarlet Witch & Quicksilver before being assassinated off-camera because reasons. The Strucker are mutant kids in the Marvel Comic Book Universe and together they were known as Fenris (Andrea and Andreas Strucker), a formidable mutant force who ran the family business of the Fenris terrorist group. Interesting wikipedia note: like their father, the twins are incestuous white supremacists. – UM.. okay and GROSS! Andrea and Andreas returned to the living and have opened a supervillain club in Manhattan called Club Fenris. When questioned about their demise and their return from the dead, they stated that their father “took care of it. One thing is certain though: Stan Lee makes a cameo appearance in the pilot.